Many are the times when one may have a bottle of beer but forget to carry a bottle opener with them. There is no need to be angry or disappointed or thinking that you will not have your beer at that particular time. There are numerous ways to open a beer bottle without a bottle opener. It could also be for the mere reason that one wants to appear cool amongst your friends. The tricks discussed below will leave being the coolest among your friends. You are all they will be talking about. One of the coolest ways to open a beer bottle without a bottle opener is using a dollar bill. Actually, it is referred to as the paper trick. It is impossible to lack a piece of paper around you. What you are required to do is, fold the paper into a v-shape. This could also be a currency note. Once you have ensured that the paper is folded and firm, then place it on the rim of the bottle top, then pushes it as hard as you can. The beer bottle will definitely flip open without any opener. 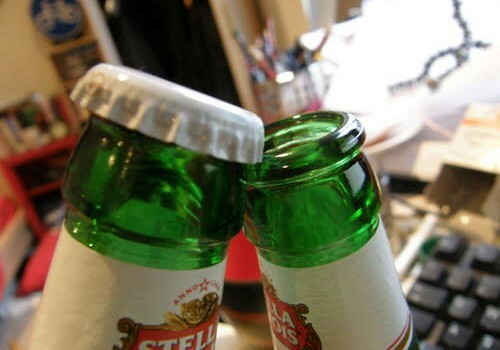 Another way of opening a beer bottle without a bottle opener is using another bottle. This means that if you want to show your friends that you are really awesome, all you need is their beer bottle too. Clip the two bottle tops together then push it up effortlessly. This will open the beer bottle. This is very efficient since you do not use so much strength. 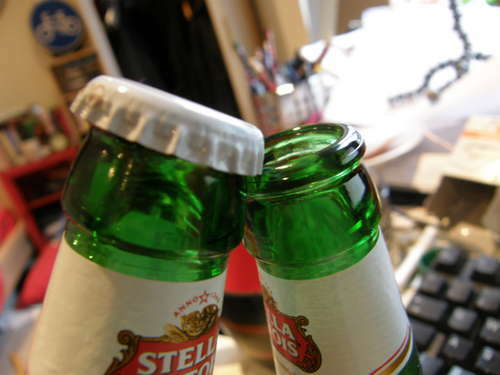 The trick here is to ensure that the bottle tops are clipped tightly and correctly. The below video shows how to open the beer bottle using paper. 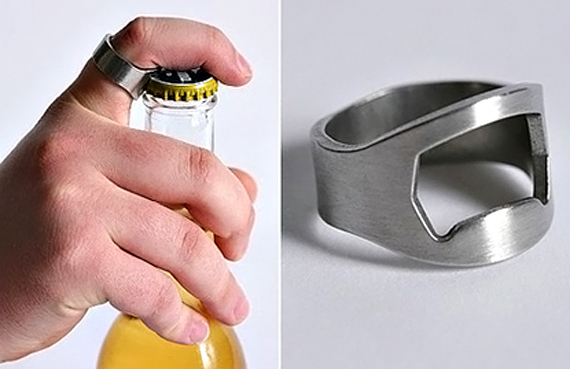 You can also use a golden ring to open a beer bottle. 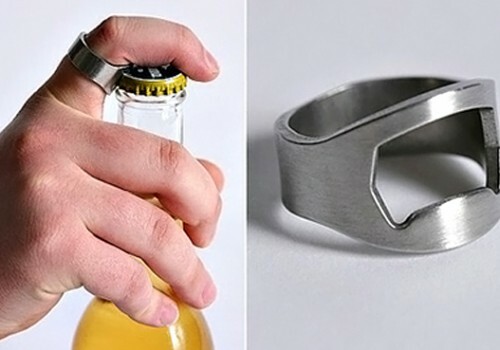 Thus, if you have just gotten engaged, or if your friend is married, all you need to is to clip the ring under the bottle top and effortlessly push it up. This is efficient since there is no much force needed. Also, it is crucial to note that the ring does not get destroyed in the process. The only thing that one should ensure is that the ring is clipped tightly and correctly below the bottle top. You can also open a beer bottle with a small rock coupled with your teeth. The rock is used to hit around the bottle top all round. This ensures that the tight seal is loosened along the side of the bottle. Hence, when you place the bottle under your tooth, it is very easy. You do not use so much force since it is already loose and your teeth are not at the risk of being broken in the process. This way, all you need is yourself to be able to take your beer at your convenience. Another way is to stick the bottle in the space between the door and the jamb, and twist it. You can even use your cigarette lighter to open beer bottle. Check this link . This method works with all hard plastic items including car keys, spoon, knife and many more. Take out your belt. Fit the edge of the belt tightly over the cap. Pull your belt up hard which should take the cap off. Put on your belt before your pant comes down. Neither a great way to open nor we would recommend our readers but you can open beer bottle using your teeth. If you haven’t done this before and even don’t want to take any chance, its better to use some alternate method. Therefore, it is evident that there various ways that one can use to open a beer bottle even without an opener. You can use the paper trick, using another bottle, using a golden ring, using car keys, your belt, cigarette lighter or using a small rock and your teeth. There is no reason to delay taking your beer just because you do not have an opener!